In this fast moving world, every morning we get ready and dress up for our respective workplaces or to be precise for our respective “Warzones” so that we can suffice our daily and basic necessities. The most important weapon in our attire is the shoes that we wear because they are our saviors. 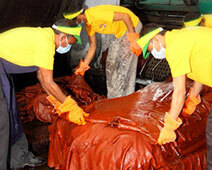 Maximum number of hours we spend at our workplace fighting with different kinds of hazards and our feet are more prone towards the fatal injuries and damages that can occur during workplace calamities. The foot and leg injuries can lead to permanent disabilities like partial or complete loss of walking ability. If we talk statistically, according to Bureau of Labor Statistics, reports at least 60,000 foot injuries are responsible for keeping people from work every year. The average cost of one of those lost workdays is $9,600, and 80 percent of foot injuries are caused by objects that weigh 30 pounds or less. So, to cross the hurdles we need a strong weapon for the safety of our feet. Liberty Shoes has been a great abettor for the workplace warriors. It is a leading worldwide manufacturer and supplier of safety shoes for both men and women of different industries like mining, construction, automobile, defence, chemical & fertilizers, aviation etc. Matching with the trend and keeping in mind the safety of the workers, Liberty has designed trendy workplace shoes and boots which are an apposite for different working sectors. You think of any kind of workplace hazards and your feet weapon is ready to fight as it is armed with shock absorber, oil resistance, fireproof, water proof and many more. 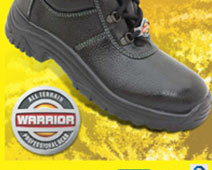 One of the unsurpassed characteristic is the Steel-toed safety boot. They offer the most protection from metatarsal injuries. Steel-toed boots are imperative in the construction and manufacturing industries, where workers are at a higher risk of having their feet crushed by heavy objects. 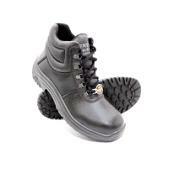 It is a very comfortable and light weight feet weapon to fight with the odds at the workplace.